A FALSE BALANCE is abomination to the Lord, but a just weight is His delight (Prov. XI:1). “Hear the cry of the Earth!”, you say. But the Earth is inanimate. Hear instead the cry of the poor, who were once denied the wealth-giving, health-giving benefits of electrical power because it was costly. Then, at the very point when advances in exploration and in technology were making electricity affordable to all, the nasty, totalitarian faction that your recent statement on the climate shows you espouse malevolently intervened so that, though the raw-material cost of coal, oil and gas has halved in 30 years, the cost of the electricity they generate has tripled in a generation. Whom does that unreasonable increase in the cost of power harm, first and foremost, but the poor? Do they not spend a greater fraction of what little they have on energy than the rest? There are many real environmental problems, but “global warming” is not among them. Hear the cry of the poor of Africa, who must heat their homes by burning timber or cattle-dung. Millions die every year of particulate pollution in their homes because you would deny them electrical power to heat their homes by night and cool them by day. Why will you not speak up for them and against those who, on the fictitious ground of Saving The Planet from the imagined (and imaginary) harms they pretend will arise from “global warming”, would deny them affordable, reliable, continuous, base-load electricity generated by coal, oil and gas? Shamefully, you sneer at the private enterprises whose willingness to take risks has given to most of us the overwhelming net benefits of electrical power, condemning what you reprehensibly describe as their “insatiable desire to manipulate and control the planet’s limited resources” and their “greed for limitless profit in markets”. Hear the cry of the quarter of a billion people who have died in the past 100 years at the hands of those cruel, totalitarian tyrants who, in interfering with free markets, inflicted not only near-universal poverty but also total war and extreme environmental degradation on their suffering populations. In condemning free markets, you condemn the very system that has made environmental protection affordable, and has put it into successful practice. Hear the cry of those who suffered, and still suffer, under the Communism with which you explicitly and culpably align yourselves when you smear your political opponents by saying they regard nature “as a private possession”. Hear the cry of those who know full well that replacing a multitude of private owners with a handful of totalitarian central planners acting for the private benefit of your narrow faction has done and will ever do far more harm than good. Hear the cry of the 7000 people who, in a single cold December some years ago when the entire British land-mass was snow-covered for the first time since records began, died before their time not so much because the weather was cold as because their homes were cold. They could no longer afford to heat them, because the governing elite had artificially tripled the cost of electrical power to subsidize so-called “renewable” energy, which, owing to its exceptionally low energy densities, causes more environmental harm per Megawatt-hour generated than any other form of power generation. Hear the cry of the birds and bats batted from the sky by monstrous windmills (14th-century technology to solve a 21st-century non-problem) or fried by solar collectors. Hear the cry of the lithium miners, slaving in inhuman conditions in Tibet and the Congo to provide environmental socialists with feel-good batteries for their costly and wasteful electric automobiles. You say global warming affects the poor first and foremost. Yet it is not global warming that harms the poor: it is misguided policies piously intended to prevent it that harm and even kill the poor. Hear the cry of the billions of victims of needless and harmful climate mitigation policies. You explicitly make the totalitarian approach your own when you demand “solidarity” and “sustainable and integral development” and a “concerted and collective, shared and accountable” response to climate change, even as that response kills people. In short, like so many callous and coldly indifferent totalitarians before you, you demand the Nanny-knows-best disposition of the world’s resources by a pietistic, profiteering few central planners in the governing elite with which you seek to align yourselves rather than by the energies and industries of the many through the cheerful chaos of the free market. Hear the cry of the victims of the totalitarianism you disgracefully advocate, a system of governance that was and is and ever shall be, first and foremost, harmful to the poor, as the gruesome and murderous history of Fascist, Communist and, now, environmentalist Socialism amply, repeatedly and terribly demonstrates. Finally, you demand that the global governing elite should “support the consensus of the world” to prevent global warming. There was once a consensus that the world was flat. Yet, as Galileo Galilei reminded one of your predecessors, science is not done by consensus, which is merely a canting euphemism for some grim, totalitarian Party Line or another. As you will shortly discover to your profound embarrassment, your ill-judged attempt to extend your remit from the realm of faith into that of science and politics is about to be proven as hilariously misconceived as the decision of the commission of Cardinals who condemned Galileo for his assertion – correct, as it turned out – that the Earth, far from being flat, is, like your untutored belief in rapid and dangerous global warming, pear-shaped. We, the people of the Catholic and Orthodox faiths, call upon Your Holinesses to set aside your personal political prejudices, to reconsider and then to recall your joint statement on climate change, and to confine your public pronouncements in future to matters of faith and of morals, which fall within your competence and your commission from the Lord of Life, and not to matters of science, which, with respect, do not. 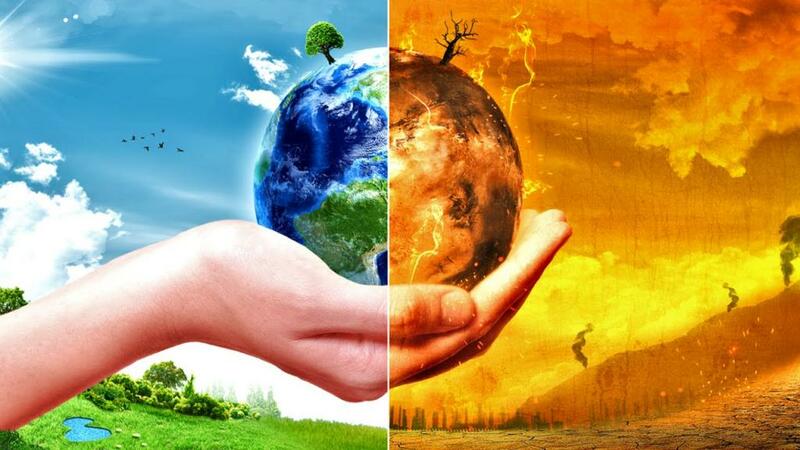 Climate Change or Change of Policy?